Jennifer: How did you learn tailoring, and specifically, how to work with fur? Jerry: I was born in 1939 during World War Two in Italy, and it was very poor over there. I was eight years old and my mother said, “You’ll go to school in the morning and then you have to learn a trade.” So in the afternoon I went to learn to be a tailor. I remember like it was yesterday: I was ten years old and I was trying to make shorts. I couldn’t think of how to make the pockets, and I didn’t want to ask anyone. So I just made them, and they came out beautifully. When I was fourteen I made my first suit. I love to invent, to be creative, to be innovative. Q: Where can we find your coats? A: Neman Marcus. And custom creations straight from the studio. Q: What’s your favorite style or type of fur to work with? A: I have no favorites because if you have favorites you work only with that. Mink is the fur that we can do the most things with. We dye, we sheer, we knit, we do everything with mink. Q: What things do you make other than fur coats? A: Cashmere coats, fur stoles, fur scarves, ear muffs, reversible fur raincoats, men’s cashmere coats, fur vests, fur pillows, fur blankets. If you can dream it we can make it. 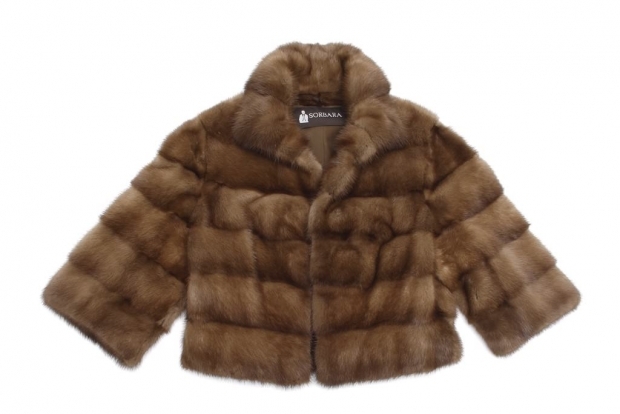 Q: How can you differentiate between a fur of great quality and not such great quality? A: The same way a jeweler can tell a good diamond from a bad diamond. You have to see and feel it. We only use the finest quality money can buy. The nap should be nice and long and silky. Q: Is there anything else you’d like us to know? A: We enjoy the greatest reputation and our clients keep on coming back. We serve generation after generation. When other furriers need help, they call me and I help them. My mother always brought me up that if you do good, it’s for yourself and it comes back to you.